THREE-TIME Melbourne premiership player Ian Thorogood has passed away, aged 82. A member of the 1957, 1959 and 1960 premiership teams, Thorogood played 93 games for the Demons and was highly regarded among red and blue supporters. 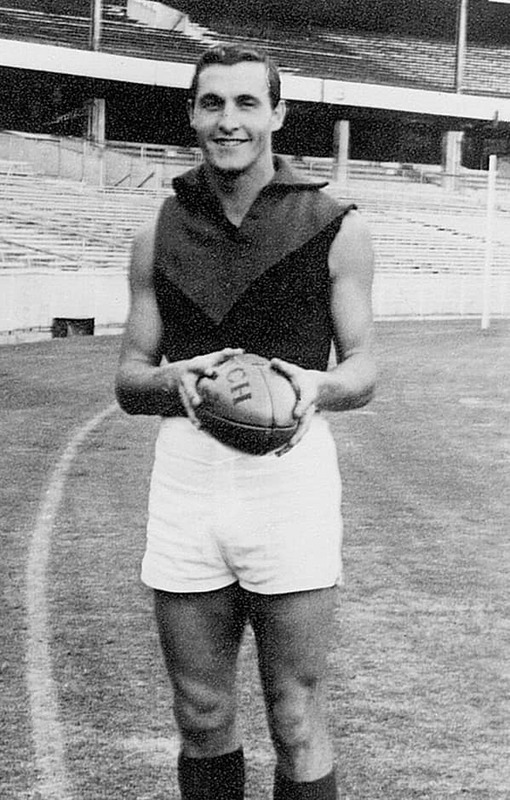 Recruited from Melbourne High School, he made his debut in round 3, 1957 against Essendon at the MCG – he played 17 games in his first year – before being part of the Demons’ premiership side. In a career that spanned six years, Thorogood wore the number 26 guernsey and played off half-back. He regularly featured alongside the likes of Geoff Case, John Beckwith and Trevor Johnson, where he helped form a strong defensive structure for Melbourne. Following his retirement at the age of 27, Thorogood moved into a coaching role with Waverley in the Victorian Football Association. He took the team to their sole Division 1 premiership in 1965, departing only to join Norm Smith at South Melbourne in 1970. His coaching ambitions then lead him to the Carlton Football Club, where he took over the senior position for the 1976 and 1977 seasons. Thorogood returned to the Demons as an assistant coach in 1978, before being inducted as a Life Member in 1983 and joining the Board two years later. The Melbourne Football Club extends its deepest sympathies to the Thorogood family, teammates and colleagues at this very sad time.